Being a vegetarian can be challenging, especially when meeting friends at restaurants like Burger King, where the signature item is a big, meaty Whopper. 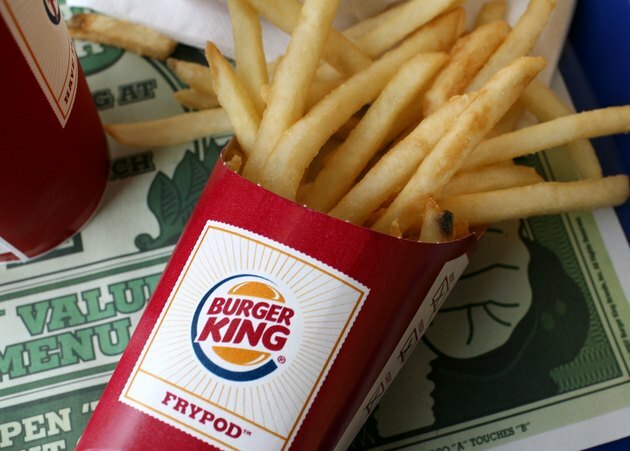 Over the years, though, Burger King has added a few meat-free items to its menu, so even if you’re a vegetarian, you can still have it your way. From its breakfast menu, to lunch and dinner, including sides and drinks, here are your best bets when grabbing some fast food. *NOTE: The nutritional information for the Pancake Platter above includes the sausage patty that usually comes with it. When you order this platter without the sausage, you’ll be saving a substantial amount of calories and fat (though you’re also sacrificing nearly all the protein as well). While the thought of heading to Burger King for a vegetarian lunch or dinner might have been virtually impossible a few years ago, now a wider array of meatless menu items makes this chain a viable option. 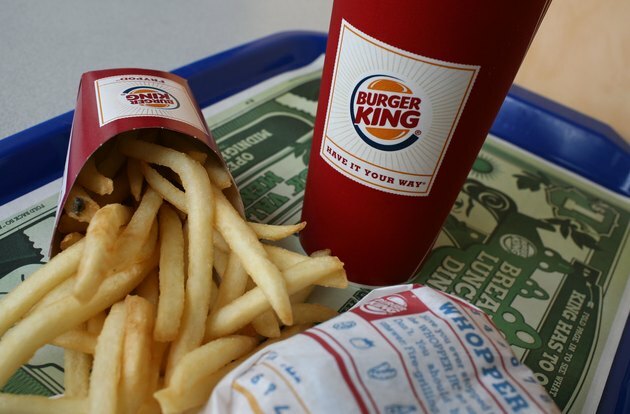 A lesser advertised item on the menu, the BK Veggie Burger, was first introduced back in 2002 in an effort to “attract new customers who didn’t previously buy food at the store because there wasn’t anything on the menu that appealed to them, in addition to providing existing customers with another choice,” a 2002 CNNMoney article explained. “Morningstar Farms is the sole supplier of the vegetable patties, [which] sells vegetable patties to the general public under the Garden Veggie brand,” CNNMoney noted. Considering the above ingredient list, these veggie burgers are not vegan, nor are they gluten-free. 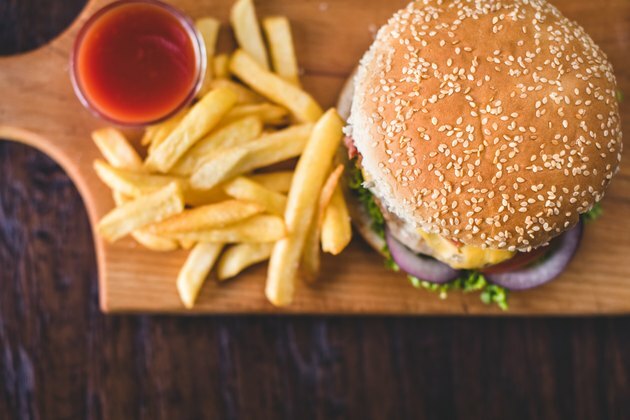 According to registered dietitian Sarah Pflugradt, M.S., RDN, LDN, the amount of sodium in the burger is also a cause for concern. Despite its nutrition and allergens, the Burger King Veggie Burger has been named one of the best meatless drive-thru burgers by CBS News. If your diet allows for eggs and dairy, as the lacto-ovo diet does, you have the option of the BK Veggie Burger. But for vegans and lacto-vegetarians, don’t let the name fool you; while it’s made from veggies instead of meat, it still contains eggs and milk. To be sure, this sandwich is a slightly healthier choice when compared to the traditional Burger King Whopper, which comes in at 660 calories, 40 grams of fat, 49 grams of carbohydrates and 28 grams of protein. While you might take a look at the Burger King menu and think that the only salad possibility for a vegetarian is the Garden Side Salad, think again, as any of the BK salad options can easily be modified for your needs. You can choose the Garden Chicken Salad or the Club Salad minus the chicken or the bacon for a true meal of a salad. Keep in mind that the following nutritional information for each of these options does contain those meat-based additions, so your total calorie, fat, carbohydrate and protein count will be lower by ordering without. That Garden Side Salad is a great choice as well. You can order two to make it a meal, which will add up to 120 calories, 4 grams of fat, 3 grams of carbohydrates and 4 grams of protein. While the Burger King shakes and smoothies with milk bases are off limits for you if you’re vegan, the Coke-flavored or lemonade-flavored slushies are both options for you. Looking for a quick snapshot of the best and worst menu items calorie-wise for vegetarians and carnivores alike? Keep on reading! Fortunately for vegetarians, the Veggie Burger comes in closer to the “better” end of the spectrum, at 390 calories. Another win for the vegetarians, the meatless breakfast items are among the lowest-calorie choices on the menu. And you can always opt for water!